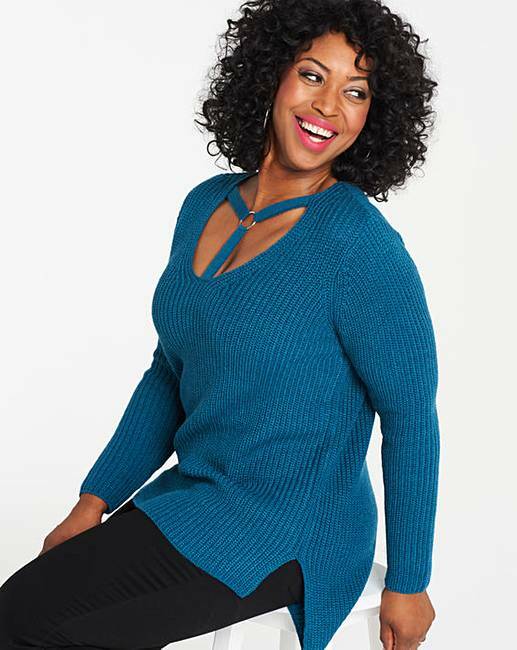 Teal Strap Detail Tunic is rated 4.3 out of 5 by 6. This gorgeous strap detail tunic looks amazing dressed up or down. Featuring a dipped back hem, side splits and strap detail to the chest. Simply pair with jeans and ankle boots for a gorgeous day or evening look. Rated 5 out of 5 by Angi66 from Teal strap detail tunic I bought this about three weeks ago and it cones up really well on size. I had a 12-16. And it’s a great fit. Plus a fabulous colour. Great value. 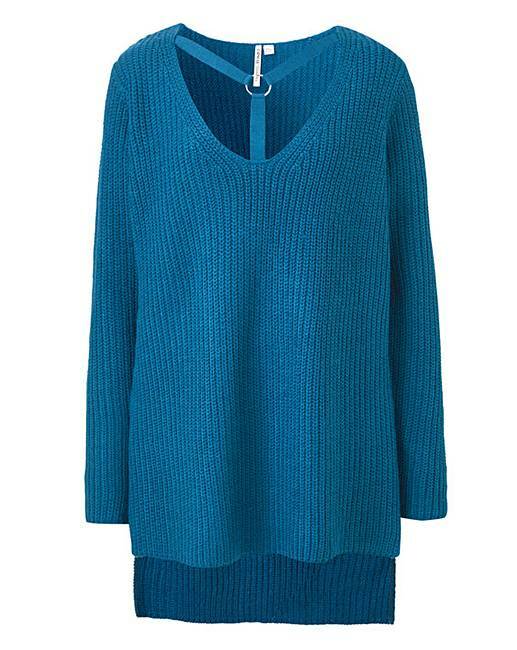 Rated 5 out of 5 by Kas from Lovely Jumper I really like this jumper, I also have it in black. Usually I don’t get on well with grouped sizes, they are usually to big or to small. I’m a 18/20 and this jumper fits really well. Rated 4 out of 5 by olliesgran from Good value Very low cut so will need to wear a vest top under it.